This "Sanibel by Neal Communities is in pristine condition! Located in the maintenance free section of this Gated Community. 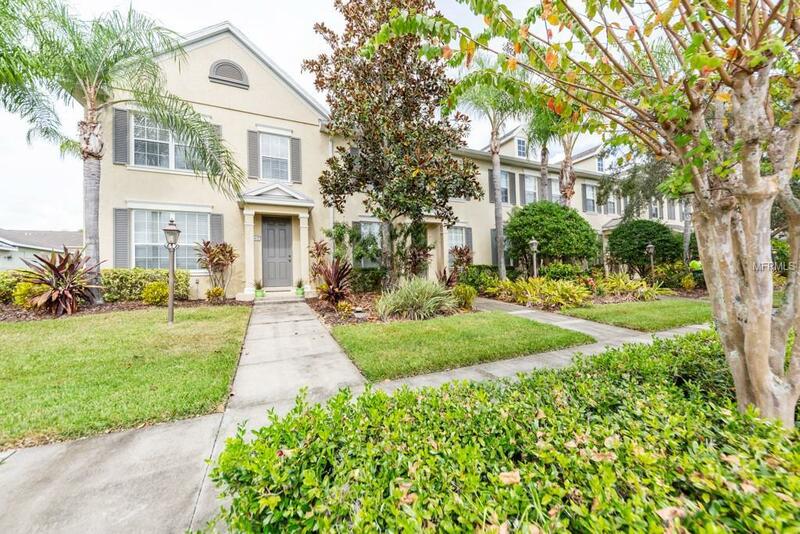 This beautiful Town home has 3 bedroom, 2 1/2 bath, is an end unit with a private screened patio, built of concrete block construction to the roof, 2 car attached garage, pull down stairs, master bedroom & master bath located on first floor, walk in closet, dual sinks, walk in shower. New Energy-efficient 3.5 ton 14 Seer a/c unit-Jan 2019, New water heater-March 2018, New disposal-Dec. 2018. New Stainless Steel kitchen appliances-Dec 2017, New 1st floor carpet-Dec. 2017, Freshly painted exterior-Nov. 2018. Granite in Kitchen, Convenient access to I-75; Ft. Hamer Bridge, Lakewood Ranch, Sarasota, St. Petersburg, Tampa & Brandon. Forest Creek offers a Clubhouse, Fitness room, Spa, Geo thermal heated pool, miles of walking trails, dog park, 2 play parks, kayak livery, billiard room. This Town home is built for easy living!